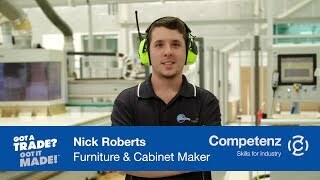 At Competenz, health and safety is top of mind. And, we are actively involved in a range of safety reviews and initiatives. As an Industry Training Organisation (ITO), we’re a key touch-point with forestry employers and learners - helping to instil safe workplace practices through the qualifications that we develop. 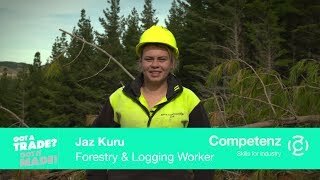 Competenz played an active role in the IFSR, initiated and commissioned by industry to identify the likely causes and contributing factors to serious injuries and fatalities in New Zealand forestry. We helped shape the terms of reference, made submissions, attended workshops and produced a video to promote the recommendations of the review. We participated in WorkSafe workshops as part of the review process - collectively working to improve practical guidelines on how to meet your health and safety obligations. Competenz sponsored the 2015 Forestry Industry Safety Summit - a series of discussions focused on developing local and practical solutions. The industry must change. And, the summit brought industry together to make that change. The resultant Forest Industry Safety Council (FISC) will get underway by the end of May. We increased access to OSH Level 3 qualifications by running more programmes for our forestry companies. We have also delivered an OSH Level 4 programme, which will be available from June 2015.